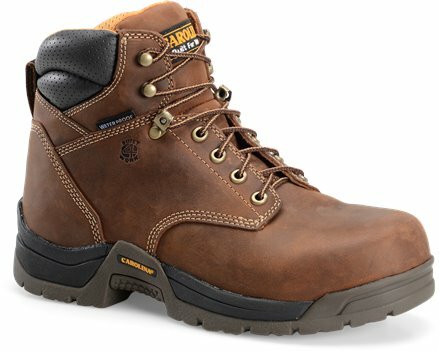 Carolina work boots are the most comfortable and durable work boot I've ever worn. I wear these boots 5-6 days a week for 14-16 hours per day and my feet are never fatigued. Leather flap on right boot not seen in properly, extra material exposed , chafing ankle. I thought for being advertised, the broad toe was a bit narrow. With that being said, I love Carolina boots. I use to buy Red Wings after my back surgery, but the quality started to lack. I have bought a new pair every year and i have never been unsatisfied. Also, I bought these boots on a Friday and they were delivered on Tuesday. I have wide and flat feet. They fit about a 1/2 width narrow but not quite a 3E but not a 4E either. I gave them time to see if they would stretch out and they did fine without cramping my feet. Where I work with have to have a metatarsal guard for shoes. After exploring literally all the internal and external met-guard shoes out there and many thousand dollars later I decided to find a pair of safety toe and wear an attachable met-guard. One thing I can tell you for sure is there is not a great selection for wide flat feet with metatarsal protection out there. These shoes have a comfortable sole and when you walk you can actually feel you foot depress into the sole. I would say if you are having trouble finding shoes to try these out. I am glad I did. Pretty looking boots but they are not 4E. They are less then 3E. Unfortunately there are not safety composite toe boots 4e on the market now. Those are the only one that declare 4E to attract costumers but beware they are not. I say that because i wear 4E for 20 years and can make the difference.. I really like these work boots. Great fit and comfortable right out of the box. I have these and the insulated ones so I can alternate them. I've worn these boots for the past 8 years, the first time I put them on, I knew I would buy a 2nd pair. Generally I order 2 pair at the same time if possible, if not, I order my 2nd pair within a month or so as I like to change up daily. I'm in construction, a big guy and on my feet all day. I wore Red Wings for years but they are not as affordable anymore nor are they the same boot I used to wear. I would highly recommend these boots to anyone on their feet all day. Backsavers for sure!!!! The most comfortable boots I have ever worn! I had a pair of these a few years ago and loved them. I went to one of those shoe warehouses to find a replacement pair and was very disappointed. The ones that the "big box" stores carry are of a much lower quality, even in the same brand. I'm on my feet all day and the footbed and insole in these boots very comfortable. 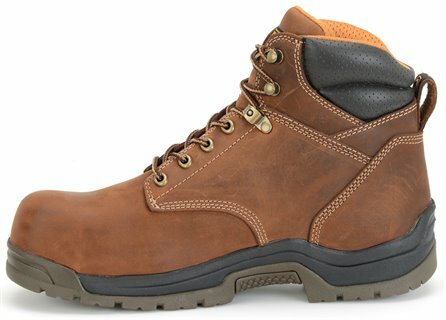 I would recommend these boots to anyone who works on their feet all day. Just bought my second pair of these boots this year if you have a wide foot these are the boots for you very comfortable and light!! Great boot will buy again!! Great boot will buy again!! Great boot Very comfortable. I was able to wear them all day right out of the box no problems. I’’m a big guy and comfortable boots are hard to find but I’’ll order another pair of these without hesitation. These are the only boots I can find to fit my wide feet. They are extremely comfortable and are already making my working days better. First time I ever ordered shoes before trying them on they fit perfect. Fast shipping as well. Thank you. Major complaint is that I only wear these boots 3-4 days a weeks and the soles gave out in less than a year. My Carolina steel toes arrived quickly and were comfortable from the start - no "wear in" period. They look and feel great. i had to check the boxes above to send this -mail but still waiting for del. The Carolina safety toe boots are so comfortable that I now wear them in preference to my New Balance shoes. They feel like a heavy sock and didn’’t need any ’’break in’’. An occasional application of Obenauf’’s LP keeps them from harm. Best boots I’’ve ever had. Very comfortable and truly waterproof. I was a pleasure ordering through Shoeline and plan on making all my future boot purchases through Shoeline. Originally I made a mistake picking the size but the exchange was a breeze. Great bootdon’’t change style. Shoeline was also great to deal with. Brought the boots for my son who works with concrete/construction everyday. He states that these are the most comfortable boots he has ever worn and that his feet don’’t hurt or feel tire at the end of his long work days. He also noted that they kept his feet dry all day long-water proof really works. Nice boot. I wore it all day right away and had no discomfort. Owned these boots prior to buying your rubber tipped composite internal metguard boots. These boots were the ultimate in long hour jobs. 12+ hours on blacktop and I still didn’’t feel the need to take them off while reclining at home. Awesome boot Please don’’t stop making these either. This has been by far the best investment I have ever made These boots are work ready right from the box. No break in period. There are to many good things to say about these boots. Once you become an owner you will understand.